I read this article and found it very interesting, thought it might be something for you. The article is called Cinema Review: Good Favour and is located at https://www.totallydublin.ie/film/cinema-reviews/cinema-review-good-favour/. 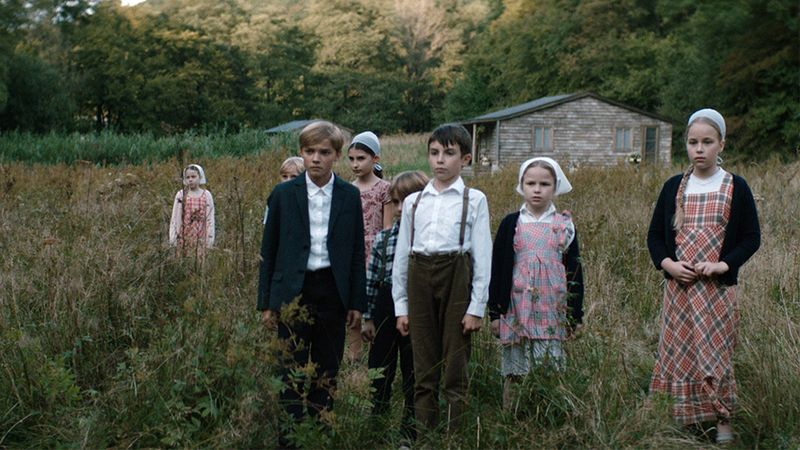 Rebecca Daly’s Good Favour opens with a filthy young man walking through a Belgian forest. He has little memory of his family or how he came to be wandering in the woods. Eventually, he stumbles upon a devout Christian village, the leader of which welcomes him into the community. Soon the boy starts to display mysterious powers, but is he a force for good, or evil? More importantly, will the audience even care by the time the credits roll? Good Favour is the kind of film that likes to show characters walking slowly across a yard before they reach the house in which an actual scene begins. Weighty themes of faith, divine judgment and redemption rear their head. Back stories and conflicts are hinted at, but it’s mostly a series of strained stares and repressed emotions. Simply put, it is a very serious movie, the kind that people watch whilst stroking an imaginary beard, lest they appear to be a Homer Simpson-esque oaf who doesn’t get it. But the truth is that it’s just a bore, a film that promises profundity whilst offering very little to intellectually stimulate its audience. Occasionally Daly and her cinematographer Tibor Dingelstad conjure a compelling image – one character wakes up to a deer standing by his bedside, another is engulfed by a swarm of flies – but these moments of inspiration are fleeting. All too often, the film is content to wander aimlessly through the day-to-day life of this religious sect. That wouldn’t be such an issue if Daly ever prioritized nuance or character development over an airy, precious atmosphere. Ultimately Good Favour is a deeply frustrating experience, though it certainly feels like the film Daly wanted to make. Whether it’s one audiences will be interested in seeing is another matter.